As a veteran, you receive special consideration and priority for referral, testing, and counseling from your state employment office. Your state employment office can provide many additional services, as noted below. Veterans Employment and Training Service Office: There is at least one Veterans Employment and Training Service Office in every state. Veterans' employment representatives may also be found at local employment offices with large numbers of veteran job applicants. These offices monitor and oversee veterans' employment services, administer veterans' training programs, and protect the reemployment rights of veterans. They will assist you with any employment problem you may have. Note: Make sure you take a certified copy of your DD Form 214, "Certificate of Release or Discharge from Active Duty," with you for your first appointment with the state employment office. You should receive your DD Form 214 before being released from active duty. Your DD Form 214 and your DD Form 2648, "Pre-separation Counseling Checklist for Active Component" or DD Form 2648-1, "Pre-separation Counseling Checklist for Reserve Component" are very important documents you protect, and put in a place at home where you can readily access them, when the need arises. DoD Job Search: This job bank, sponsored by the Department of Defense and the Department of Labor, lists millions of jobs across the nation that are not readily filled. 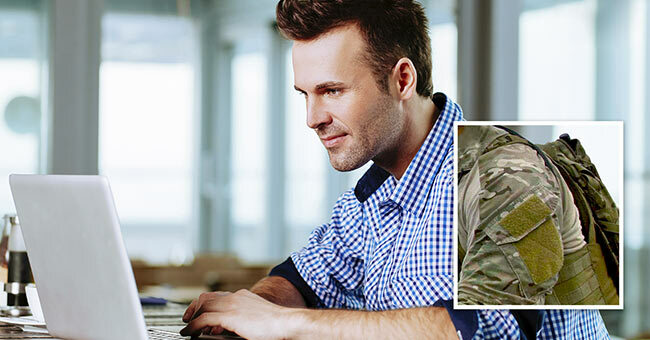 Check out Military.com's Veteran Employment website for further detail and assistance. Training opportunities: State employment offices can offer you seminars on subjects such as resume writing, interviewing skills, and career changes; information on vocational training opportunities; and proficiency tests in typing and shorthand for positions requiring such certification. Information: At your state employment office, you will find data on state training, employment, and apprenticeship programs; and statistics regarding employment availability, economic climate, and cost of living. Some offices even have extensive information about the things you should know before moving to the state. Visit DoD's TurboTAP website to locate State Employment Offices. See our State Benefit Pages for special employment programs are available in your state.